Let’s pick up where we left off in part 1 of my Hong Kong itinerary, where I spoke about my first three days exploring Stanley, Central, the Zoological Gardens, Victoria Peak, Lantau, Mong Kok, Tsim Sha Tsui and the night markets. This was my favourite day of the trip for a few reasons: it surprised me (I had no idea Hong Kong could be so serene), the weather and the food. We got up early and took the Metro to Central pier to catch the ferry to one of the outlying islands. The ferry took about 40 minutes and gave us the opportunity to enjoy the views which gradually changed from built up Hong Kong to open blue waters and fishing boats. 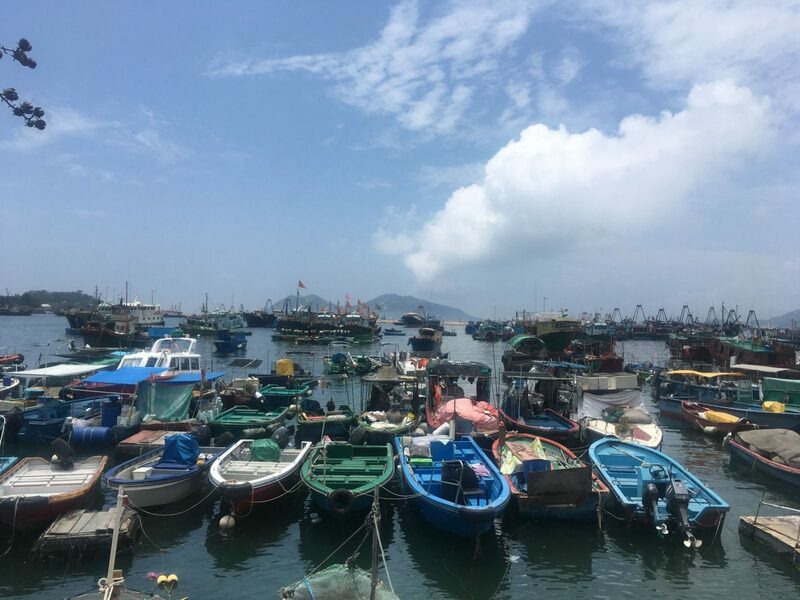 We arrived on Cheung Chau to find a buzzing island full of the brightest colours I’d ever seen… from the colour of the water to the flags lining the sea front. 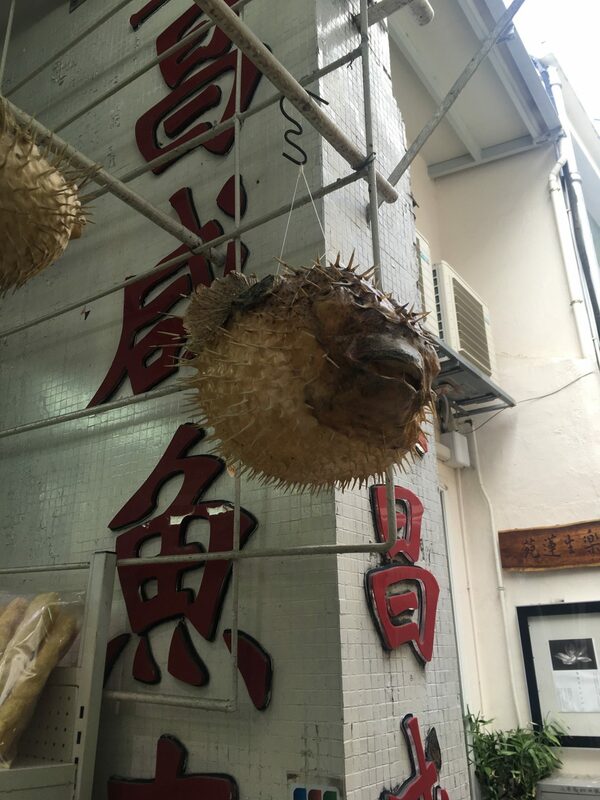 We strolled along the promenade and turned inland to explore a couple of temples and before continuing to wander down side streets, trying out the street food and enjoying the bustling atmosphere. 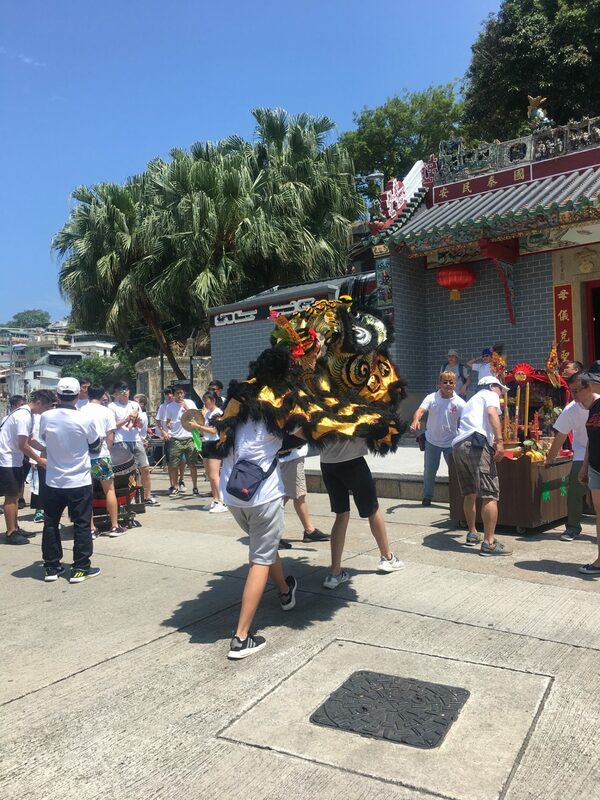 All of a sudden we were distracted by drums, dancing dragons and a procession of whole cooked pigs… it turned out there was some sort of festival going! I can’t for the life of me find out what this was called or the meaning behind it, but it was certainly a treat for the eyes! 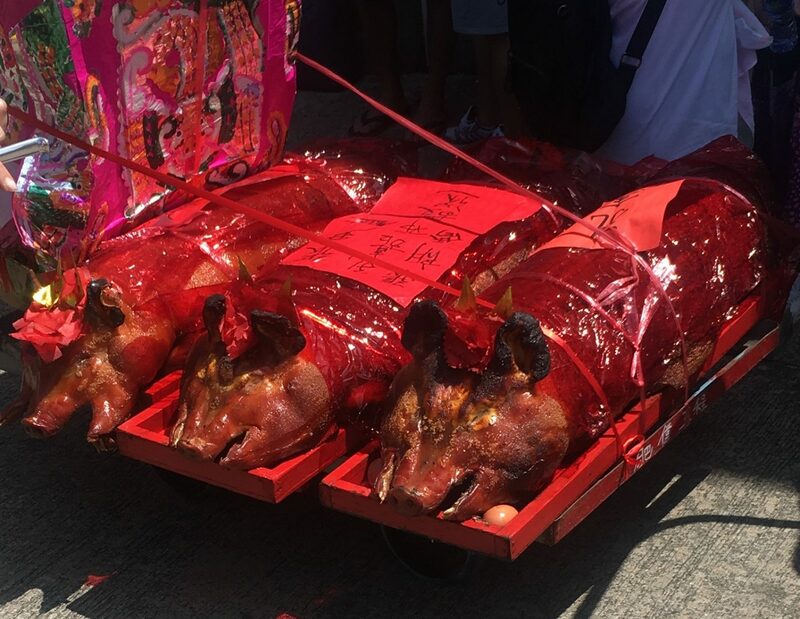 We followed the procession through cobbled streets and along the promenade towards a huge tent at the end of the island… this was where the food (the cooked pigs) was sacrificed. 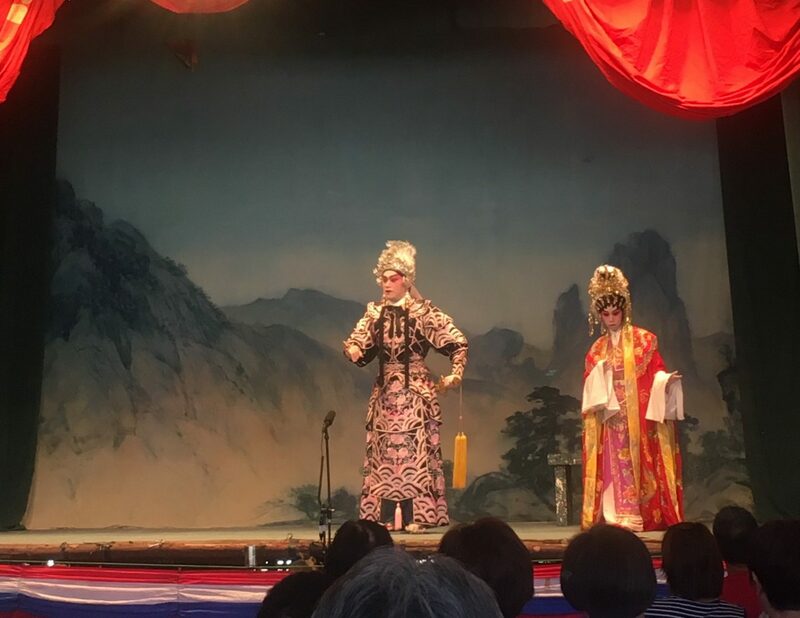 Much to our surprise, as we entered the tent there was a Chinese opera on so we took a break from the heat and the chaos to enjoy the show. Of course we didn’t understand any of it, but the costumes were amazing. After some more street food and a beer in the sunshine, we headed back on the ferry. With it still being early we decided to tick one of Hong Kong’s many sky bars off the list and headed to the highest bar in the world, Ozone. The first thing to note about this bar was that it was really difficult to find, it honestly took us a couple of hours! It’s in a hotel, and you can’t just get one lift up to the top so there’s a lot of wandering around trying to find the next lift. The second thing to note is the cost. £16 for a (very) small glass of their cheapest wine! But we justified it because the nearby Sky100 viewing platform was more expensive and didn’t come with a drink… so really we were saving money! The views were stunning and the toilets were amazing, but it’s not the kind of place I’d stay for more than one drink. We headed back to Mong Kok for some dinner at Mr Wong’s (have a read of my post Hong Kong: A Foodie’s Dream for the download on this place) and then it was time to go out for a few drinks. We’d heard that Tsim Sha Tsui had good nightlife so we headed here, getting distracted and completely missing our stop on the Metro). Tuesdays didn’t seem to be a big hit for nights out but we still had a dance before heading to Karaoke! We woke up very excited because we were leaving behind our extremely budget hotel for a night of luxury in a Disney hotel! Hungover, we took a slow start to the day with a big breakfast before heading to Disneyland to check in. Our tickets weren’t valid until the next day, but we thought we’d drop off our stuff, have a little nap and then head to Tai O as we were on the right side of Hong Kong for that. We got the Metro and then a taxi to this quaint fishing village, which felt so quiet compared to everywhere else we had been. The first thing we noticed was several men selling boat rides to see pink dolphins (not a euphemism, these are a thing off this coast line). As it was less than £3 for a 30 minute boat trip, we jumped on board! We didn’t see any dolphins but travelling up a river through the iconic stilt houses was beautiful and we even got to have a go at driving the boat! We spent the rest of the afternoon walking through quiet narrow, streets and eating various street food, before heading back to our luxurious hotel. 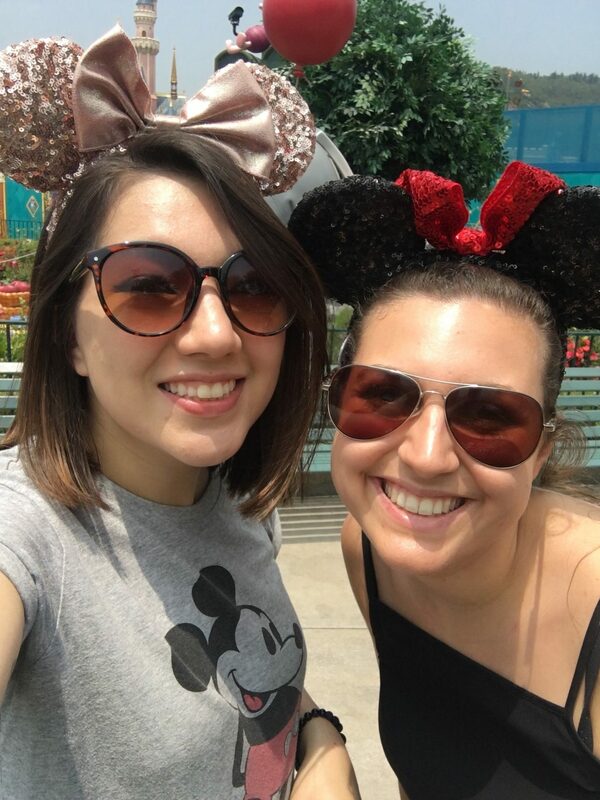 We had considered going out again as were were desperate to go to the races and try out some night clubs, but we didn’t want to waste our night of comfort or be hungover for Disneyland. Instead, we headed to one of the other Disney hotels for some expensive but delicious dinner before heading to bed to watch some Disney movies! Our final day wasn’t about culture or adventure, it was purely about fun! We had early entrance tickets to Disneyland so we got up early, donned our Minnie Mouse ears (and Minnie Mouse back packs) and got right to the front of the queue. Although this Disneyland was much smaller than the other ones I’ve been to (namely Paris and Orlando), it’s my favourite. It’s quieter, the queues aren’t crazy, and the kids there were really well behaved (no screaming, crying or running around being annoying… just cute). It also felt really magical – my lasting memory of Disneyland Paris was that the commercialisation took away some of the spark. Maybe it was the sunshine and being with my bestie, but I genuinely felt magical all day. 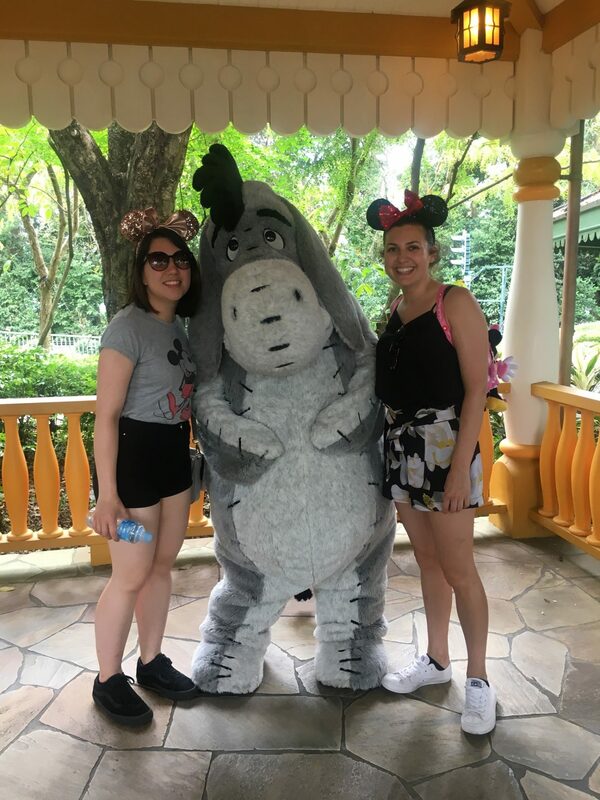 After a day of rides (Winnie the Pooh was my favourite), character hunting and of course the parade – absolute highlight of the day, I squealed with joy when my all time idol Mickey Mouse waved at me – we headed back to the hotel to pack. We had time for a quick drink by the pool before we had to make our way to the airport. It had just started raining but, determined to make the most of the final hours of our holiday, we still sat by the pool in our bikinis with a jug of sangria and reminisced on our week. 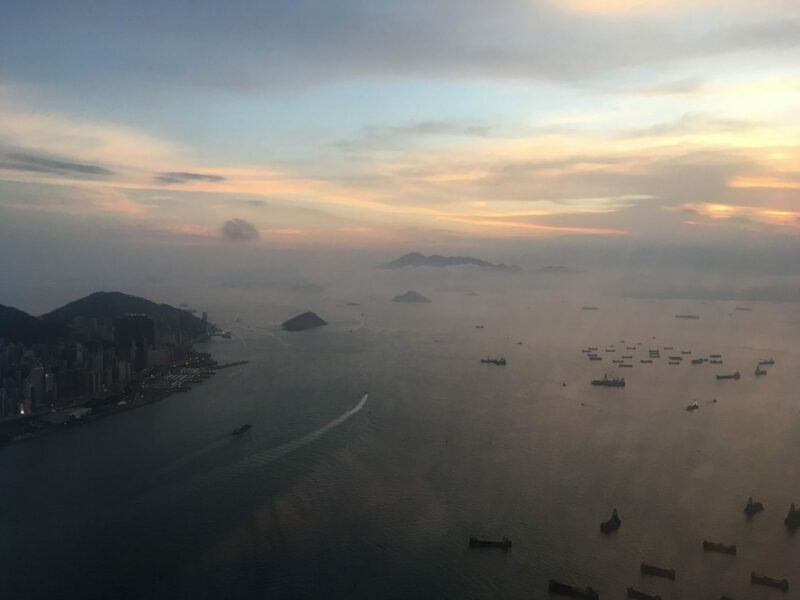 I know this post (and part 1) have been pretty long, but Hong Kong really was one of the most incredible places I’ve been with so much to see and do. Despite fitting a lot into 6 days, there is still a huge list of things I want to do in Hong Kong and I’ll be finding any excuse to go back! 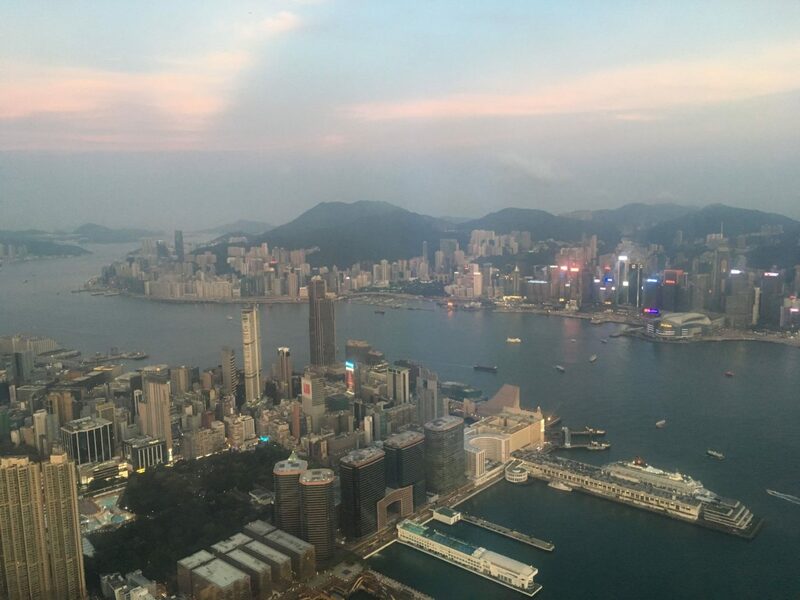 So before you leave, have you ever been to Hong Kong? I’d love to hear what you got up to and get some ideas for the itinerary next time! P.S. I’ll try to keep the next post a bit shorter!